Two Missourians recently returned from Guatemala after leading the latest round of training sessions that are part of Churchnet’s partnership with Guatemalan Baptists. The two presenters were Gary Snowden, Churchnet’s Missional Collaboration Team Leader and Associate Pastor at First Baptist Church of Lee’s Summit, and Noah Angel, Churchnet board member and pastor of Familia Cristiana Internacional in Jefferson City. 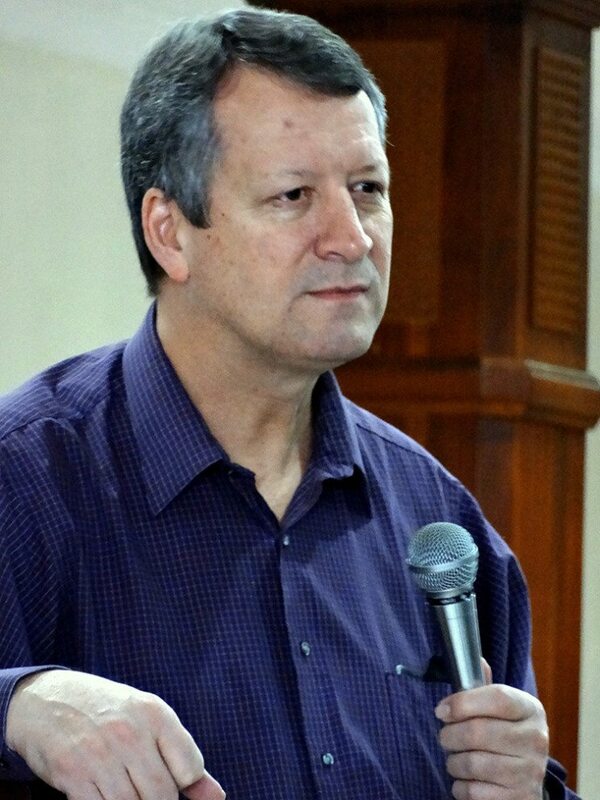 Snowden, a former missionary in Argentina and Mexico, led two sessions (one on attitudes and characteristics of a discipler and one on having a balanced perspective on the neo-charismatic movement. Angel, a native of El Salvador, led three sessions on issues of biblical interpretation. Snowden, who leads Churchnet’s side of the Guatemalan partnership, has helped with two training conferences a year since 2007. He has also participated with his church on medical missions trips. He stayed another week in July after the latest training conference to work with a team from his church and other congregations. “It’s a great moment for communion, for fellowship with others,” he added. The next Churchnet training conference in Guatemala will likely be in January of 2016. Note: To learn more about Churchnet’s partnership with Guatemalan Baptists, check out Churchnet’s February 2015 digital magazine online: http://joom.ag/pDHb. You can also contact Gary Snowden, Churchnet’s Missional Collaboration Team Leader, at gsnowden@churchnet.org or 888-420-2426, ext. 709.